Have a Beautiful Sydney Wedding Ceremony !!! 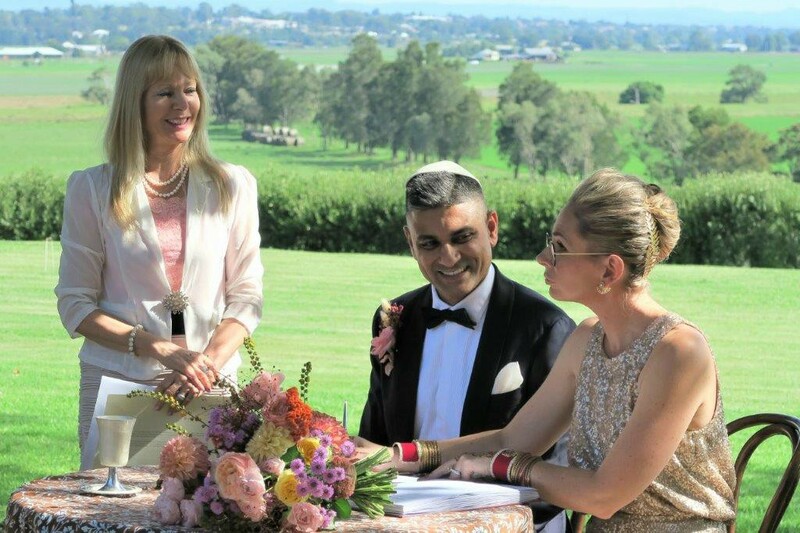 Yes, it is easy to get married in Sydney even when you come from overseas!!! Have valid passports (and Divorce/death papers if applicable) when you arrive in Australia. 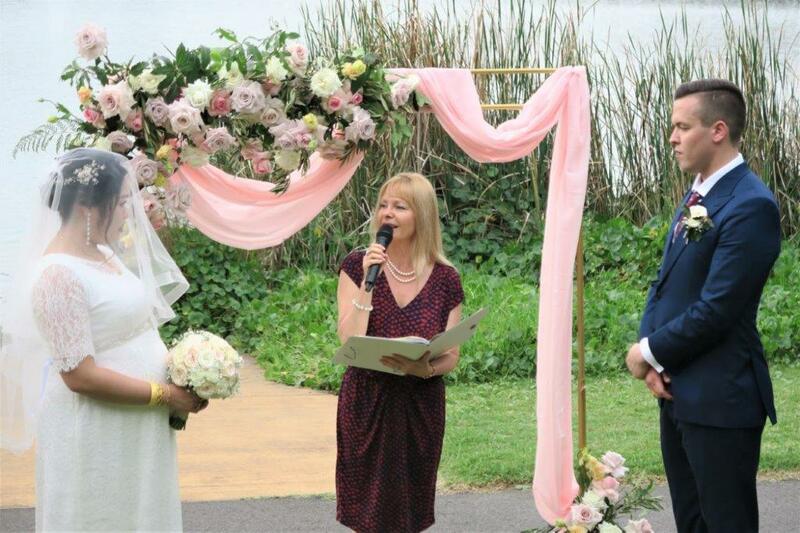 Why not have your Wedding Ceremony in great Sydney. 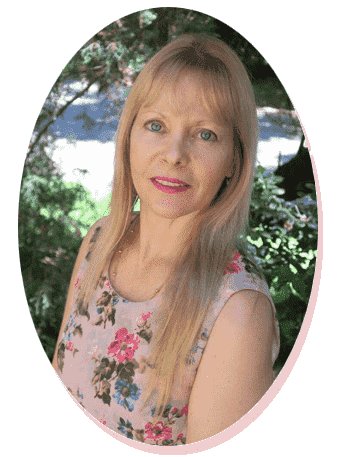 It is really easy with the marriage celebrant who is very pleased to assist you to make your dream come true – all Hassle free. We can interact easily via webcam, Skype, fax, phone and emails, and so taking away a lot of the stress associated with organising weddings from the other side of the world. 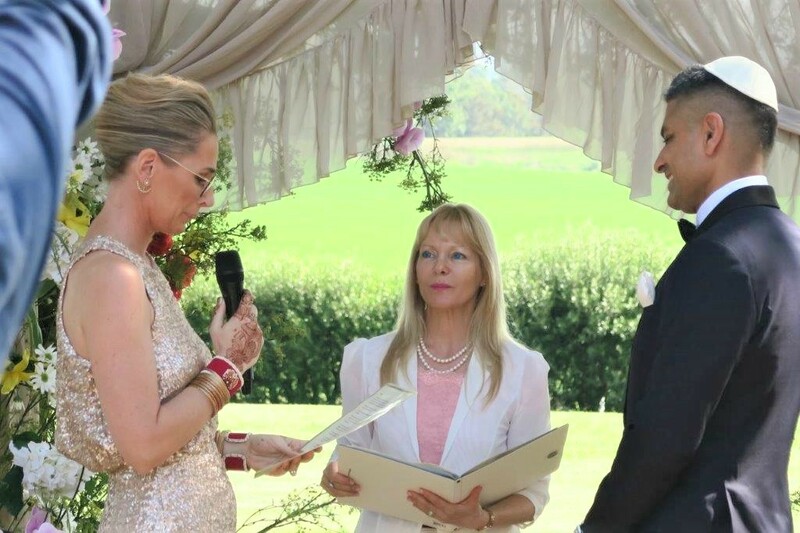 Hence, a very experienced and easy to work with celebrant who will take care of all the legal paperwork so that you can enjoy a stress-free journey to your wedding. So book a helpful affordable wedding celebrant. 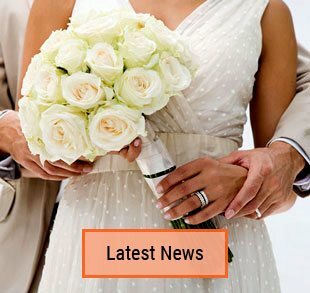 Check out affordable fees for midweek ceremonies. All you need to do is follow the Australian legal requirements, I will guide you. 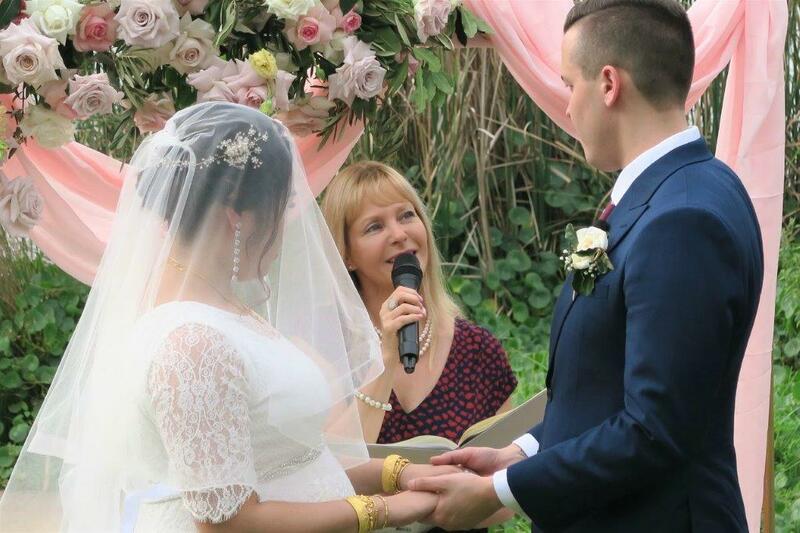 You do not have to choose between a secular or a religious ceremony – music, readings, and prayers with religious connotations can be incorporated in a civil ceremony. Except for some legal wording requirements during the service, we can create a beautiful tailored made ceremony just for you. We can communicate entirely by emails, fax, phone, skype, or mail. Everyone speaks English, and Australia is one of the most multicultural countries on earth. So, come and enjoy our beautiful beaches, parks, and scenery. Stay in Australia for any length of time after the wedding. 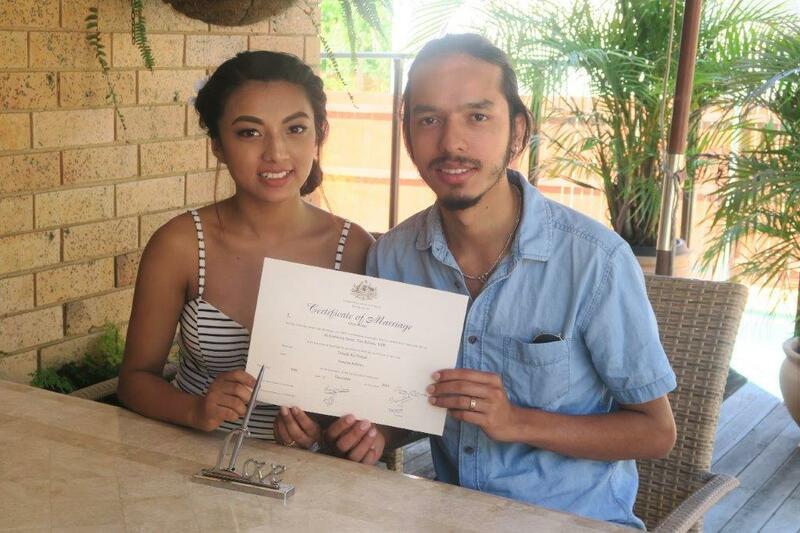 Be a resident/citizen in Australia for any length of time (I can actually marry you on the day you arrive). Follow any specific dress code. You can wear whatever you want. Exchange rings – if you don’t want to. Interact with either email or phone to check my availability and to discuss lodgment of the form NOIM. I will email you the form. You will need to complete and lodge with me the form at least one month prior to the wedding. You will need to fill in the form carefully then have it signed in front of an appropriate officer. Once this has been done the form should be scanned and emailed first, then posted by registered mail. When a booking is made, the deposit is paid; then I can email my resources folder. I must see all documents regarding a previous marriage prior to the wedding. eg either A Divorce Certificate or a Death Certificate. All documents must be translated into English. I can advise you on beautiful locations around Sydney. 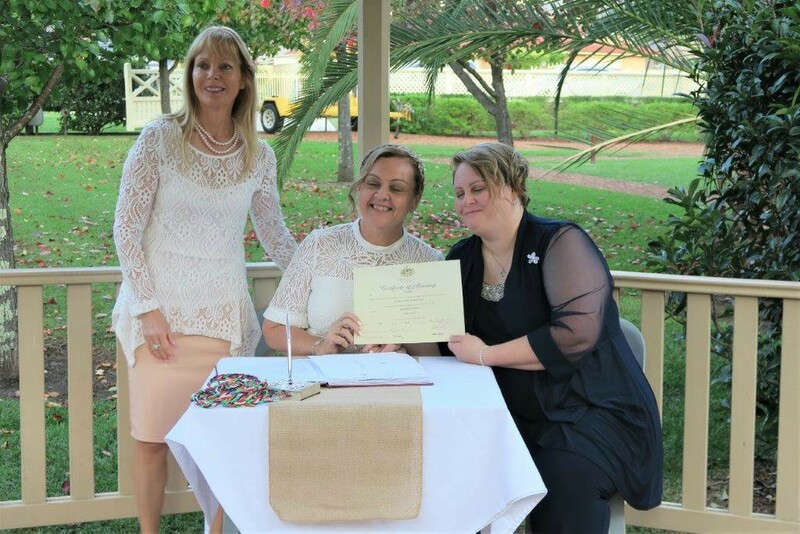 You get “The Ceremonial, Australian Commonwealth Marriage Certificate”.